Xylitol – This is a naturally occurring sugar that helps prevent decay and repairs decalcified teeth. 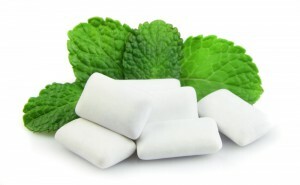 Xylitol starves the bacteria in plaque that causes cavities. As plaque levels decrease, acid levels in saliva also decrease. When acid level is reduced, minerals in the saliva re-harden decalcified tooth structure (white spots and beginning decay). Spry Chewing Gum contains high levels of Xylitol. Spry Gum should be chewed 3-8 times daily, immediately after eating or drinking. Spry Gum, mints and candies are available on-line at www.sprygum.com.